Conversation Course Berlin - Learn to speak German! Do you live in Berlin and want to practice your German oral expression? Or maybe you would just like to learn German together with other people in Berlin who are keen to debate? 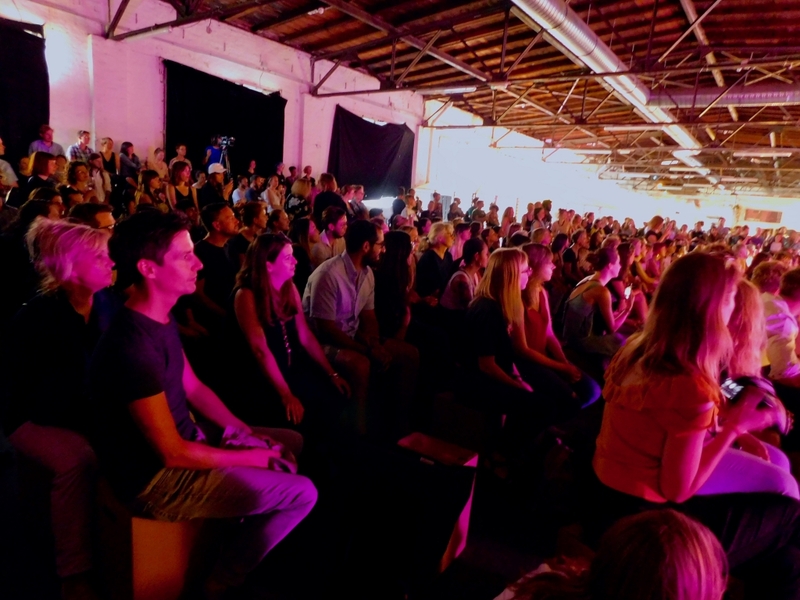 Do you want to talk not only about socially-relevant topics, but discuss them directly with local experts? And you don’t fancy conversation courses in which you’re supposed to talk about the content of a news item that doesn’t interest you? Then >Format D:, the conversation course of the deutSCHule in Berlin-Neukölln, should be just right for you! On this page, you will find everything you always wanted to learn about the conversation course at the deutSCHule in Berlin-Neukölln. >Format D: – What is that?! For our conversation course in Berlin, >Format D:, we at the deutSCHule in Berlin-Neukölln came up with something truly special. Each German conversation course has a different theme, like the leitmotif of a piano sonata. Every week, we arrange an excursion to a place that illustrates a particular aspect of it. In this way, the theme is gradually made tangible, not only through language, but in a concrete and direct manner. 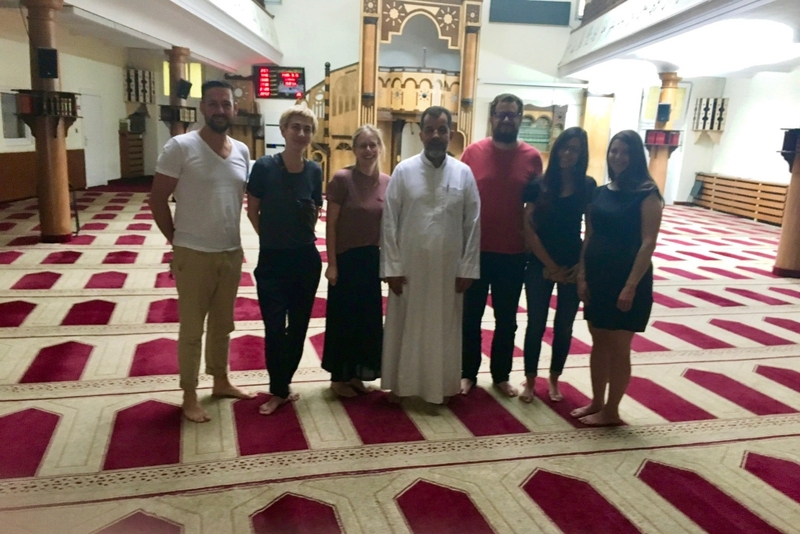 Even better, you get to prepare for this excursion in class – meaning you will already have acquired the vocabulary you need to deal with this topic in Berlin or elsewhere. And you will know what to expect on the excursion in Berlin so you can get the most out of it. The journeys are also followed up in class. This will broaden and deepen your understanding of the topic in a natural way. But watch out! Oral presentations are mandatory for this conversation course! After all, you are taking the course to improve your spoken German. 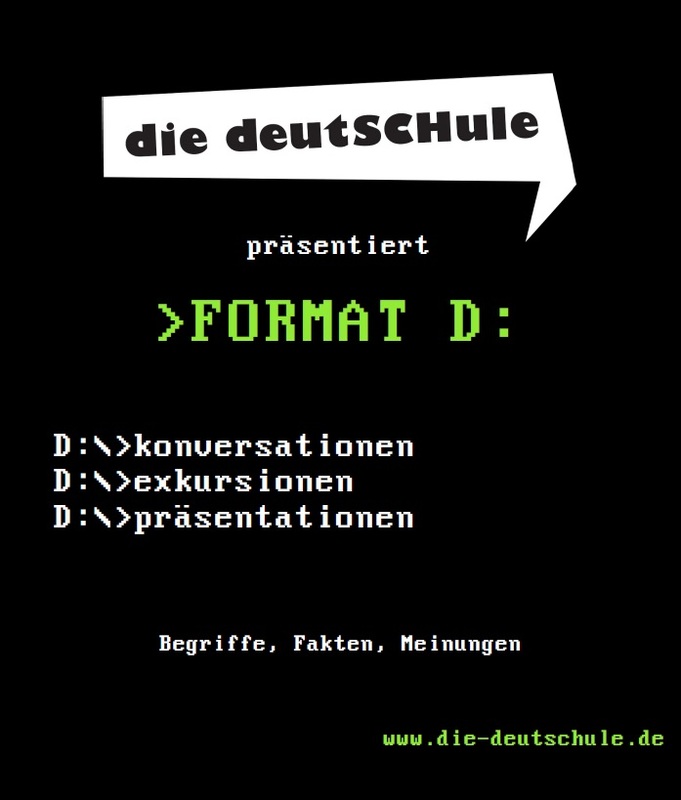 The conversation course of the Berliner deutSCHule, >Format D:, usually runs for five weeks and takes place on Tuesdays, Wednesdays and Thursdays. On the first day, the excursions are prepared for. They are carried out on the second day and followed up on the third. Our experience shows that this is the most interesting, entertaining and effective way of learning to speak German! That is, in real and engaging conversations about recent experiences. <Format D: – Learn to speak German! >Format D:, our highly popular conversation course in Berlin, is no ordinary conversation course. On the contrary! After all, it combines excursions with the exploration and presentation of regional topics. Politically relevant places in Berlin, historical monuments of Berlin, exciting people from Berlin’s contemporary history – you will get to know all of them. And you will get plenty of practice in every area of the German oral expression: discourse strategies, expressiveness, vocabulary and repertoire, etc. Your German will improve and you will marvel, laugh, learn! For anyone who is interested in the social reality of the present and wants to be able to talk intelligently about it. For anyone who wants to take a German language exam for university admission and needs to improve their oral expression and/or knowledge of typical argumentation patterns. For anyone wishing to study at a German university but still has too little background knowledge and general understanding of Germany. For anyone who wants to improve their German speaking skills in an entertaining conversation course in Berlin. The Berlin conversation course >Format D: attracts different groups of people. To begin with, those who want to improve their oral expression in German. This group is typically looking to expand their German vocabulary and practice the use of various discourse strategies. 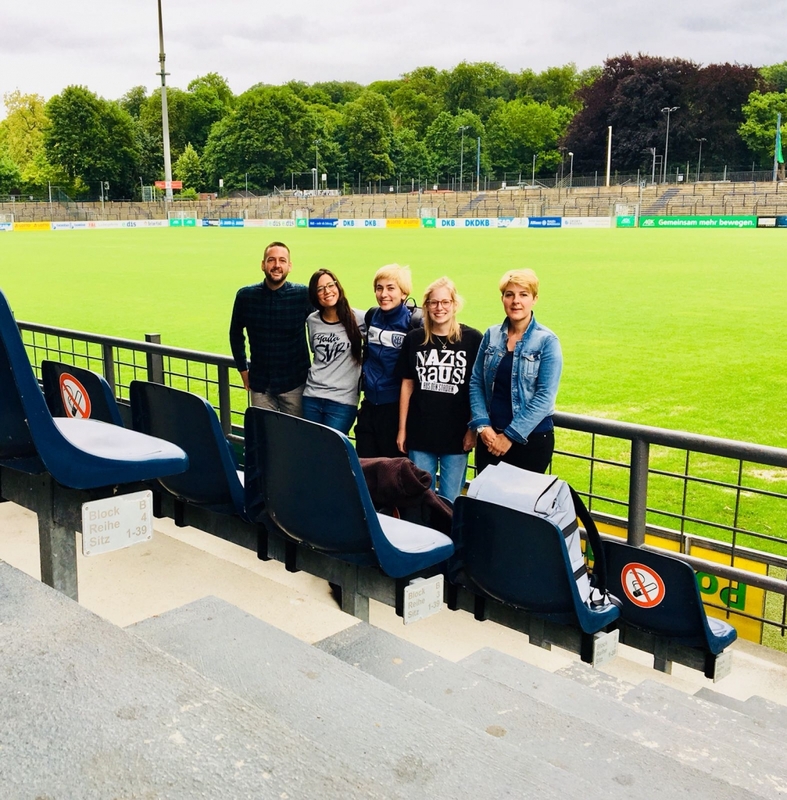 The second group includes those who want to get to know and understand today’s Germany because they need this knowledge for their language courses or studies. Or just because they live in Berlin and take an interest in society, that is the social reality that currently can be experienced in Berlin. Finally, the course is aimed at people who like to make exciting discoveries. 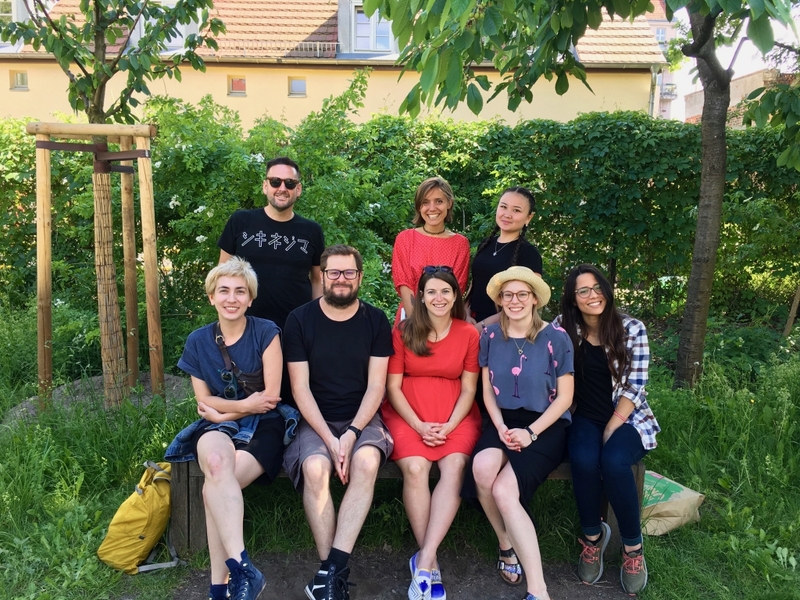 If you are an adventurous, curious soul wishing to go on unusual expeditions to discover the high- and subcultural treasures of contemporary Berlin, you will feel right at home in our German conversation course!